Théhuone is a tea house with a Scandinavian, fresh attitude, which imports over 200 high quality, delicious teas. To ensure that the selection is full of delicious and exciting flavors, Théhuone constantly aims to find new, interesting tea varieties. Our selection includes some of the bests from the Théhuone selection. Toasted Maté is a refreshing maté with minerals and mateine. It is toasted to deliciousness. The aroma has a nuance of cocoa bean and the flavor is soft and dark. Sencha Lime Strawberry is a green sencha flavored with strawberries and deliciously sour lime fruit. Perky and fresh flavors deliver the good vibes. 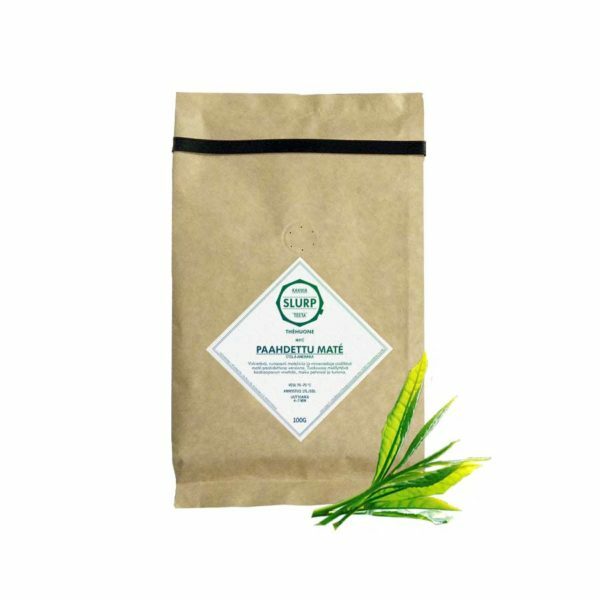 Maté Lemongrass is a refreshing green Maté with fresh lemon. Flavored with lemongrass, lemon peel, a tiny bit of mint and some lemon extract. This drink keeps you energized and high-spirited all day. Yerba Maté includes plenty of vitamins and minerals. Because of its high mateine content it helps you focus, it refreshes and reduces your appetite. Fig Pomegranate is a rooibos tea, flavored with soft fig and fruity pomegranate. Also includes cranberry, pomegranate flowers and marigold petals. Chamomile Organic is a herbal tea that helps with headaches, throat inflammation and digestion issues. It also improves immunity. Chamomile relaxes the mind and is a wonderful drink for insomnia. Relaxing blend of herbal teas with chamomile, black currant leaves, heather flowers, lemon balm, marigold petals and peppermint. 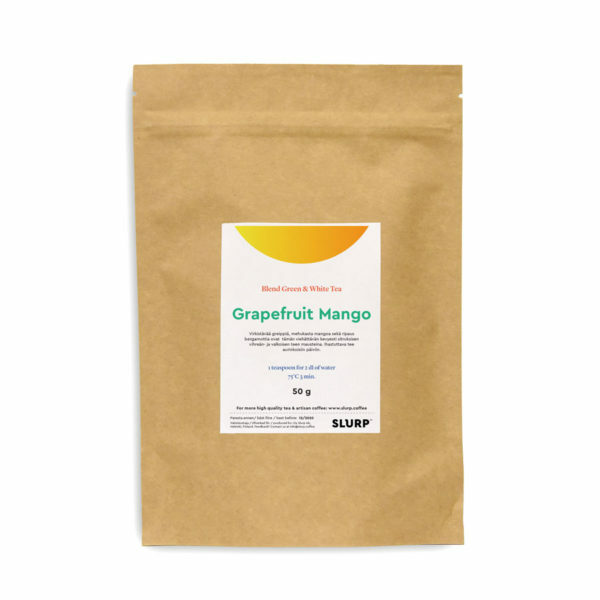 The refreshing grapefruit, juicy mango and a hint of bergamot make the Grapefruit Mango green and white tea enticing and lightly citrusy. Vanilla Rooibos is a soft Rooibos tea that is flavored with pieces of bourbon vanilla and a hint of vanilla extract. A real treat for a fan of vanilla. Sencha 8 is a delicious flavored green tea. It is flavored with genmaicha, cranberry, red and yellow rose buds, rose petals and chrysanthemum flowers. Rooibos Pina Colada is a decaffeinated and healthy South African red bush tea. It has been flavored with coconut chips, pineapple, papaya, cilantro and creamy pineapple-coconut rum extract. 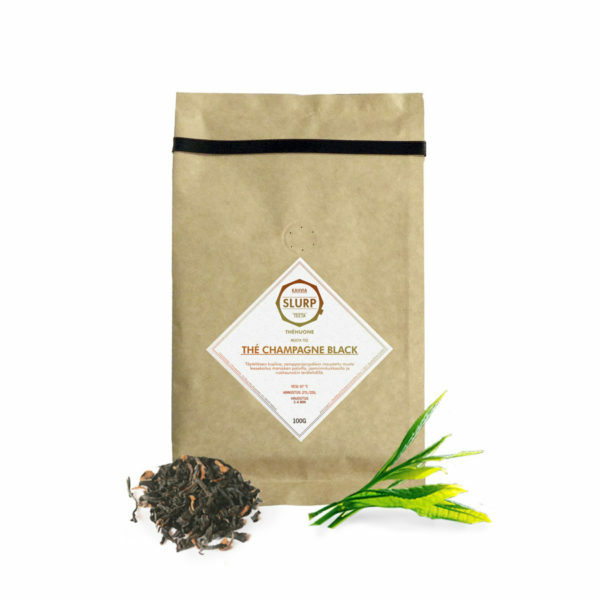 The Champagne Black is a rich, bubbly black tea variety that is flavored with champagne grapes. Mixed in are pieces of strawberry, jasmine flower and cornflower petals. Aloe Vera Ginseng Green is a cleansing, refreshing and energizing green herbal tea. Made with green maté, licorice root, cinnamon, fennel etc. Sencha Sakura is a Japanese cherry flavored green sencha tea. The cherry has a specific position in the Japanese culture. Earl Grey Excelsior is a flavored black tea. It is one of the most famous mixed teas in the world. An English style, full, bergamot flavored tea mixture. Nepal Masala Chai is a flavored black tea that has anise seeds, heather blossoms, cinnamon, ginger, clove, cardamom, coriander, black pepper and cumin seeds. Marrakesh thé is a Moroccan type mint tea. Chinese green Gunpowder tea combined with Moroccan Nana mint make for a refreshing, soft and aromatic drink. 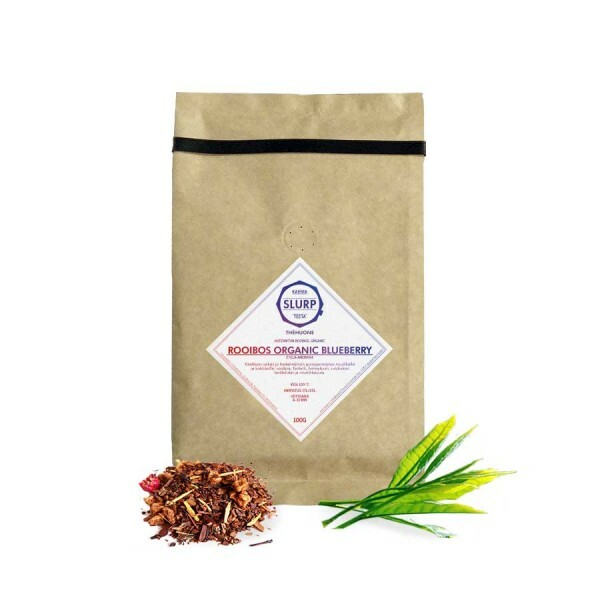 Rooibos Organic Blueberry is a fresh and fruity red bush tea with blueberries and flowers that will make you think of summer. Includes: rooibos, fennel, honeybush, cornflower petals and blueberry extract. Earl Grey Blue Flower is a Chinese black tea flavored with a citrus-y bergamot. This classic English classic gets its refined touch from cornflower and blue mallow petals. A soft and refined Earl Grey. Organic Ginger Lemongrass is a fresh and balanced herbal mix from lemongrass, ginger and a touch of licorice root. Sencha Wild Grey is a Chinese green sencha flavored with fine and fresh bergamot. A fresh citrus-y tea. Margaret's Hope is a favourite of the British people. Very aromatic, picked in just the right time of summer. The round, rich flavour of the tea is perfect for mornings. Black tea, flavoured with anise seeds, cinnamon pieces, rooibos, clove, pepper and chickory.